When “the best Celtic guitarist in the world” sits down to play with the only woman to win both the Canadian Grand Masters Fiddle and Open Fiddle Championships, the da Vinci of the dobro pulls up a chair, and one of the most versatile bassists in roots music anchors it down, “power quartet” just might fit the bill. Doug Cox, Tony McManus, April Verch and Cody Walters are the artists collectively known as Strung. 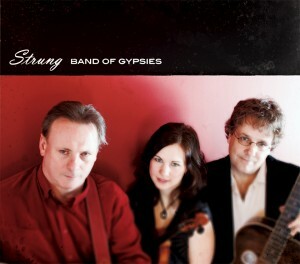 Strung released their debut CD, “Band of Gypsies” in January 2009. Strung delivers an eclectic blend of roots music styles with an expressive depth and intensity. ©2019 April Verch Music. All rights reserved.